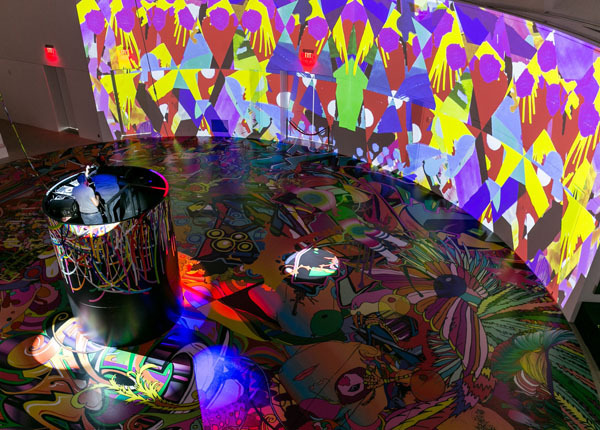 Faena Art announces the next edition of the art installation ángeles veloces arcanos fugaces, an immersive, participatory and site-specific work created by ‘assume vivid astro focus (avaf)‘. 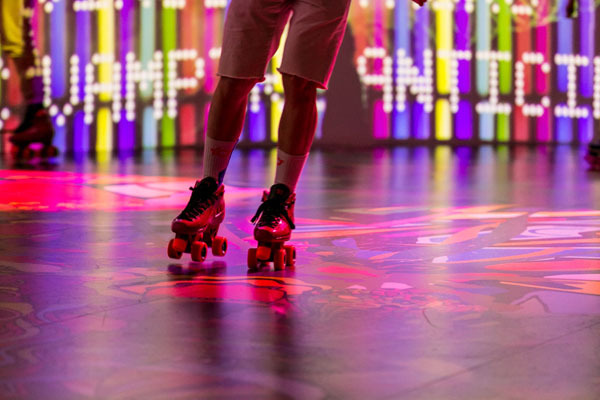 The installation re-imagines a roller dancing rink as an art experience and includes a line-up of DJs and performers who will activate the roller rink with their own practice while the public is invited to dance and skate within the installation.This participatory work establishes a new platform for social interaction in the Faena Forum. This second edition of the roller disco rink will feature a performance by renowned Miami performance artist duo TM Sisters and will be activated musically by guest DJ Paperwater. Featuring food pop ups by LovJuice and Wynwood Parlor! Admission to the event is on a first-come-first-serve basis pending on capacity limits. RSVP does not guarantee entry. Limited amount of roller skates will be available for attendees. We encourage guests to bring their own. Please note that we will have two lines for event check in at the entrance (Eventbrite ticket holders and Walk-Ins). If you and your group registered through Eventbrite, please make sure to have your barcode ready to be scanned at the entrance. After scanning your barcode, every person in your party will have to sign an Insurance Liability Release Form and receive a stamp on your hand before heading to the roller dancing rink. Please note that if attending with children under the age of 18, the responsible of age guardian will have to fill out and sign a form on behalf of each child.